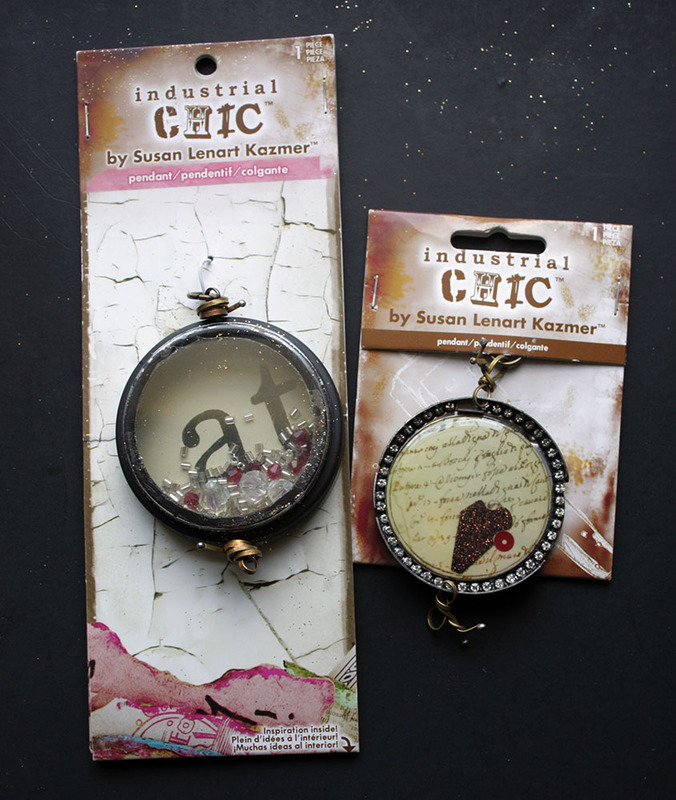 Several weeks or maybe even months ago (I don't even know anymore, time is just slipping by me so quickly) I received a package from the Susan Lenart Kazmer, LLC Industrial Chic line of products. The products are available at Michael's Arts and Crafts stores nationwide. I've purchased from this line before and really love the mixed media, eclectic-ness of it. Here's the awesomeness I received. I love that this was another challenge to use products I may not have selected for myself initially. Those kind of challenges really get my muse a-working! I grouped the fun glitter-filled bottles together for this triple-layered necklace. First though, I altered the labels on the bottles with some alcohol inks and sandpaper to give them more of an aged look. 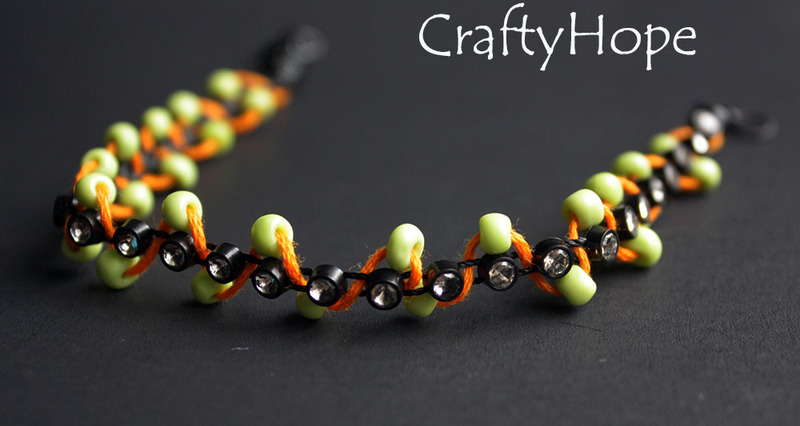 There's something very Halloween-y about this necklace. I think it looks like a witch's secret stash of ingredients/potions. With the gray faceted charms, I used some gray agate beads from ZnetShows to make these simple, neutral earrings. 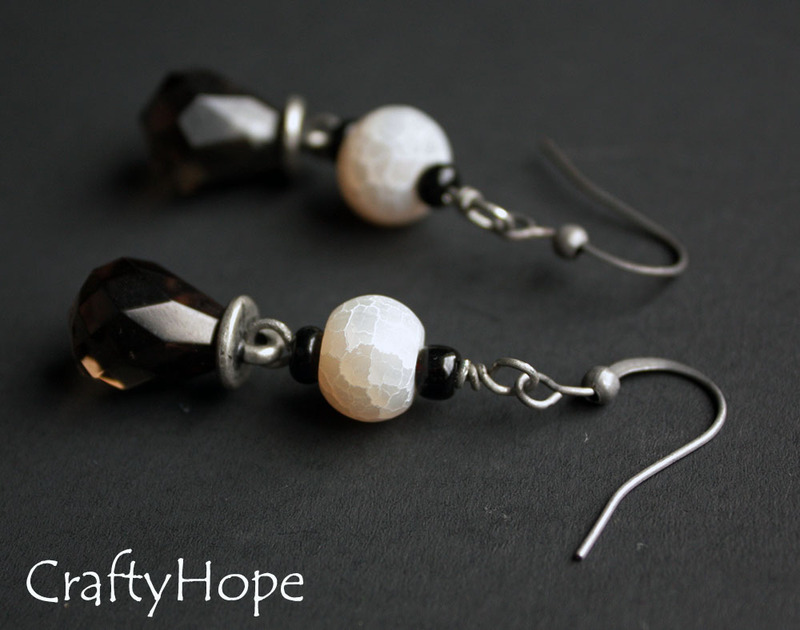 I was so intrigued by the black rhinestone ribbon that I just knew I had to use it for something. 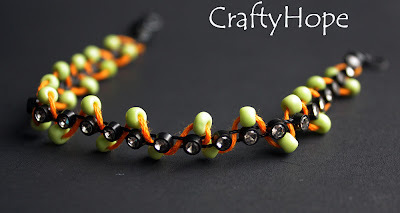 A little embroidery thread and some bright e-beads turned it into this lightweight bracelet. A necklace was for sure in order with the pendants. I altered the way the flat wires were attached at the top and bottom of the pendant and made a bit of fringe with some of the chain and ribbon from the stash I received. 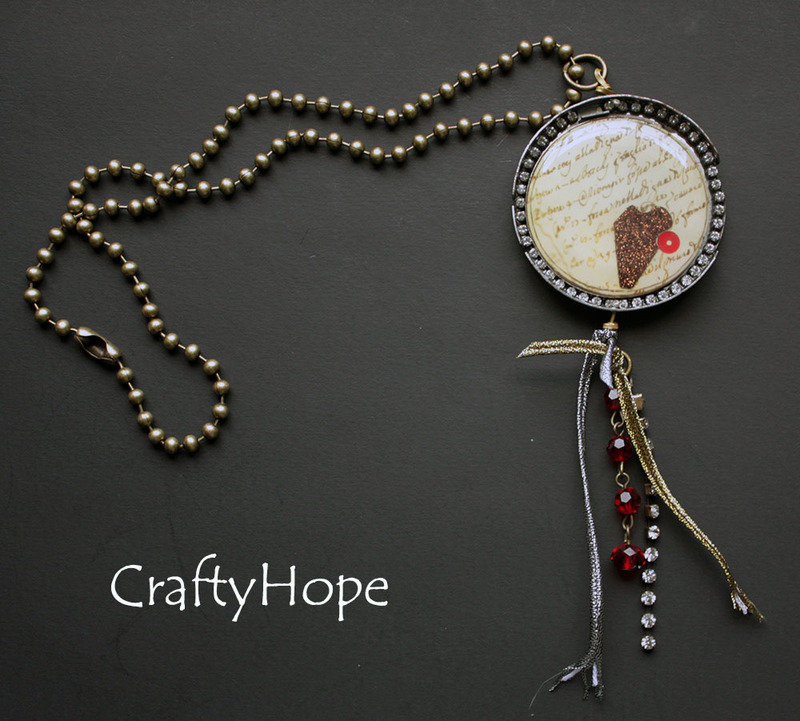 A large, brass ball pin chain completes the necklace. I actually have another necklace made, but I'm considering submitting it to a magazine. As such, I don't feel comfortable sharing it here at the moment. Let me just say. . .it's awesome! If you haven't seen the Industrial Chic line at Michael's you are missing out. There are some really great components available. Have you created with this line before? Isn't it great!? 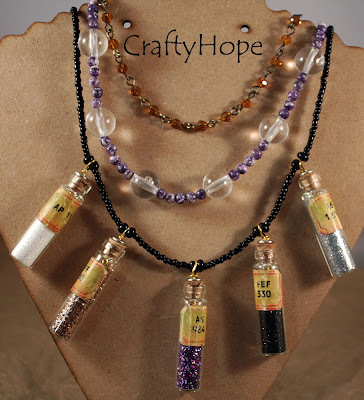 Very creative and cool necklace with the bottles! 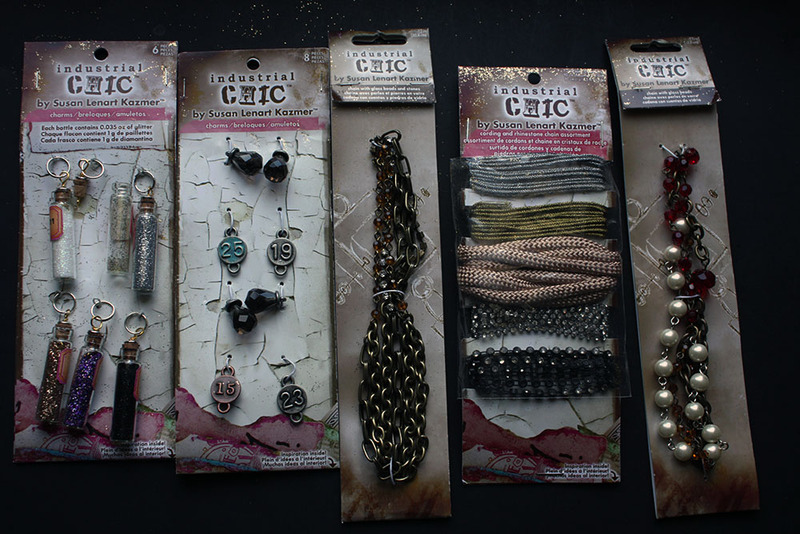 Love the earrings, bracelet, and pendant necklace too!! I love the Industrial Chic line. You've done some great pieces with it. Those are all awesome! I really like the bracelet, simple yet attractive and eye catching. I think Michaels has the line on sale right now...I think..I was just there today but I had to make it a quick run...so I didnt have time to really explore the new stuff..
Christina, Thanks! I like how versatile the line is. It can be dressed up or down but is still so unique. I didn't need to hear it might be on sale! I'll actually be up toward our Michael's later today. . .oh no! ;) Ha! Thanks for popping in!